If you’ve been dealing with a sports injury for some time, you may want to take a trip to a physical therapist. Additionally, if you have a short-term injury that you’d like to speed up your recovery for, seeing a PT about your treatment options is a smart idea. The reason is that physical therapy has an excellent track record in a variety of wellness domains. One of them is pain reduction for short and long-term injuries. Below, we explain exactly how a Woodbine physical therapy provider can ease your pain and hopefully convince you to give one a try. When you have a significant sports injury, exercising without in-depth knowledge of your conditions is a risky decision. What will likely happen is you injuring yourself even more, and making your eventual recovery more difficult. The best way to avoid this trap is by talking to a physical therapist first. They will construct a workout plan for you that takes your injury into account and makes it better, not worse. One option your therapist will explore with you is manual therapy, which refers to treatments that are done using just the hands. What this will entail is feeling, massage, and stretching the injured area and those that surround it. There are many purposes for this type of therapy, but the most common are making an initial diagnosis, warm up, cool down, and soft tissue treatment. 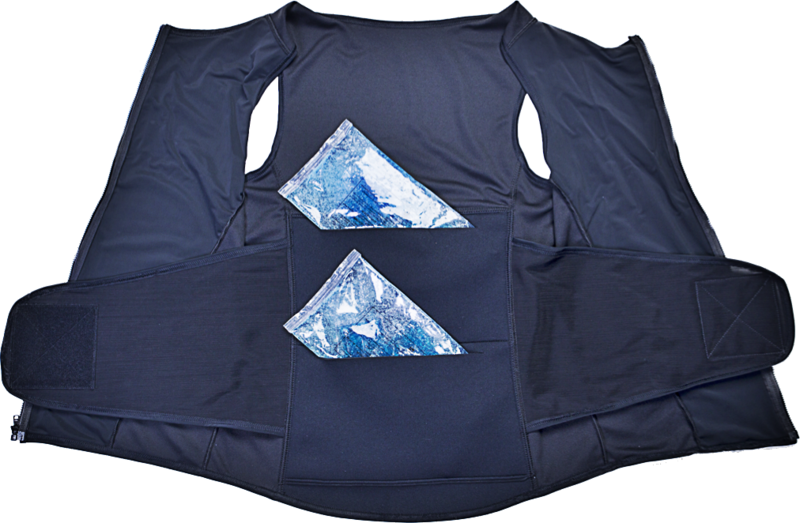 Ice - The primary purpose of ice is to constrict blood vessels and reduce inflammation. Though an inflammatory response can help an injury, it can also become excessive and painful. 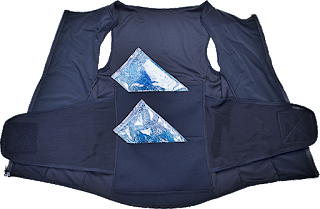 Your PT may use ice to manage that inflammation. Heat - In other situations, heat is the answer. The reason is that it can reduce pain and increase mobility. Additionally, when you are more mobile, you are more receptive to manual therapy. Ultrasound - Your PT might use ultrasound waves to loosen your tissue before using other forms of therapy. Laser - Lasers have a variety of functions, but the most prevalent are stimulating healing, reducing inflammation, and lessening pain. Electrical - Sending electrical impulses through your body can stimulate muscle contraction and speed up the healing process. One of the best things your therapist can do for you is to educate you on the nature of your sports injury. Not only will this let you understand it better, but it will also inform you on how to live with it. With this knowledge, you can go about your life without making your injury worse. 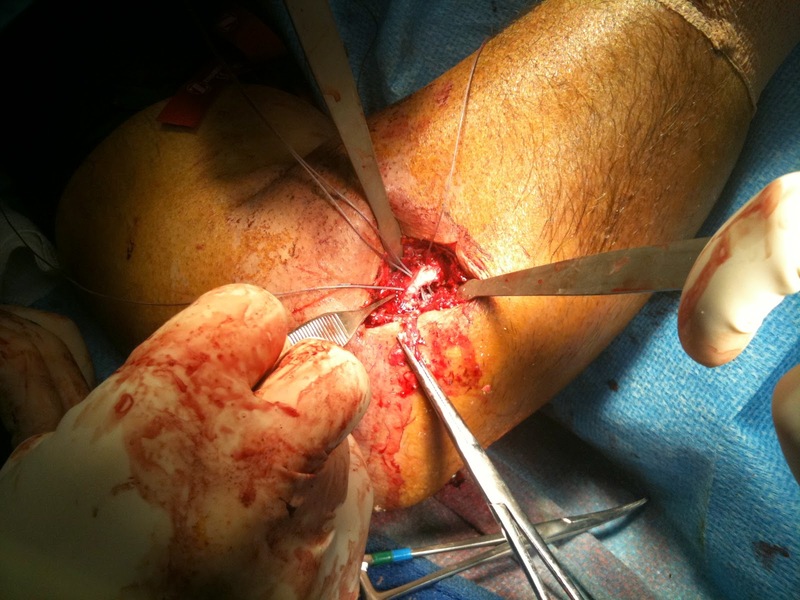 Though many people with injuries opt for surgery, its track record is not as good as you might think. In fact, a significant portion of operations do not yield the results that they intend, or even make symptoms worse. Physical therapy helps you avoid this cost and pain by using non-surgical methods. While you might recover without any attention from a PT, their expertise will surely speed up your recovery. This will allow you to feel less pain and get back to living your life without restriction. A great thing about physical therapy, as opposed to traditional medicine or surgery, is that you are involved. Your therapist will explain your injury to you and inform you on how to treat it. Because of this, you take an active role in your recovery, which makes you feel less pain and more satisfaction. 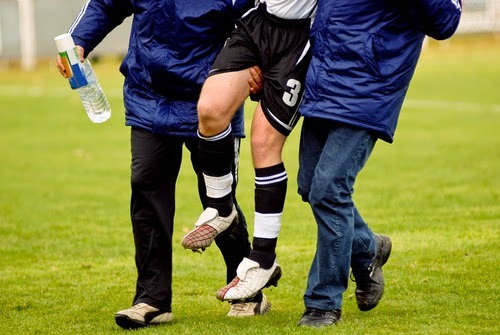 If your sports injury is severe enough, you will probably see a family doctor about it. 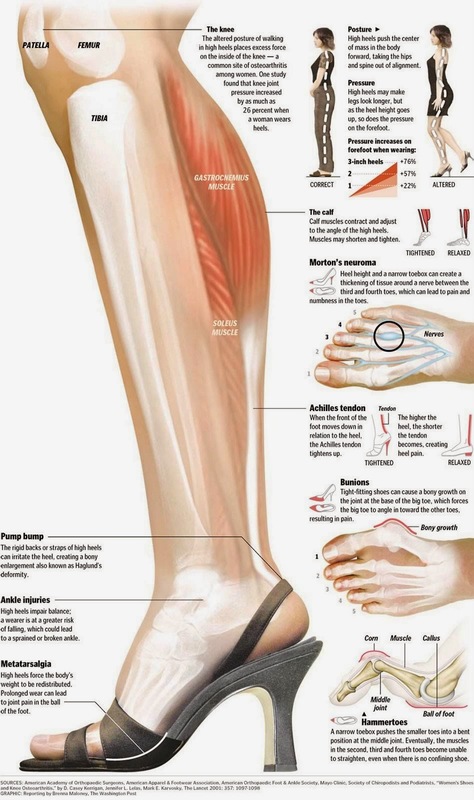 Depending on the nature of that injury, your next step might be seeing a PT. This is the right choice, as physical therapy has been shown to be incredibly useful in pain reduction. If you’re interested in seeing what physical therapy can do for you, find yourself a local Woodbine physical therapy clinic and schedule a consultation. 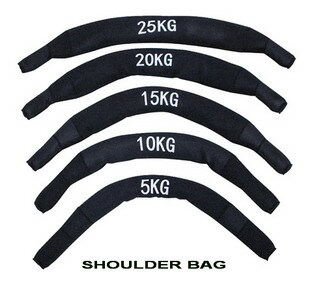 Shoulder Bags are a rather simple but effective way to exercise and build a variety of muscles. They are a bit gimmicky, but essentially very easy to use and a great way to build core muscles faster. Each bag, regardless of size, goes around your neck and sits comfortably on top of your shoulders. 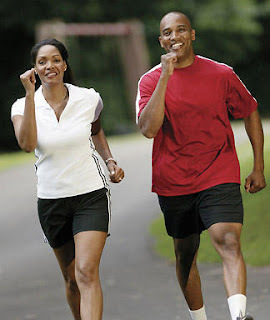 Walking around with one burns extra calories, as does jogging, and doing a host of other activities. Never use a shoulder bag while doing anything potentially dangerous, such as swimming or cycling. The added weight on a bicycle would make you top-heavy and more likely to crash. While swimming, that extra weight would dramatically reduce your bouyancy and put you in danger of drowning. So definitely avoid using shoulder bags during any activity that could lead you to crash, drown, or potentially sustain some kind of injury. Unless you love having back pain and developing sports injuries, then you really should only be using a shoulder bag while exercising - like when taking a walk, a jog, doing other weightlifting activities, and so forth. 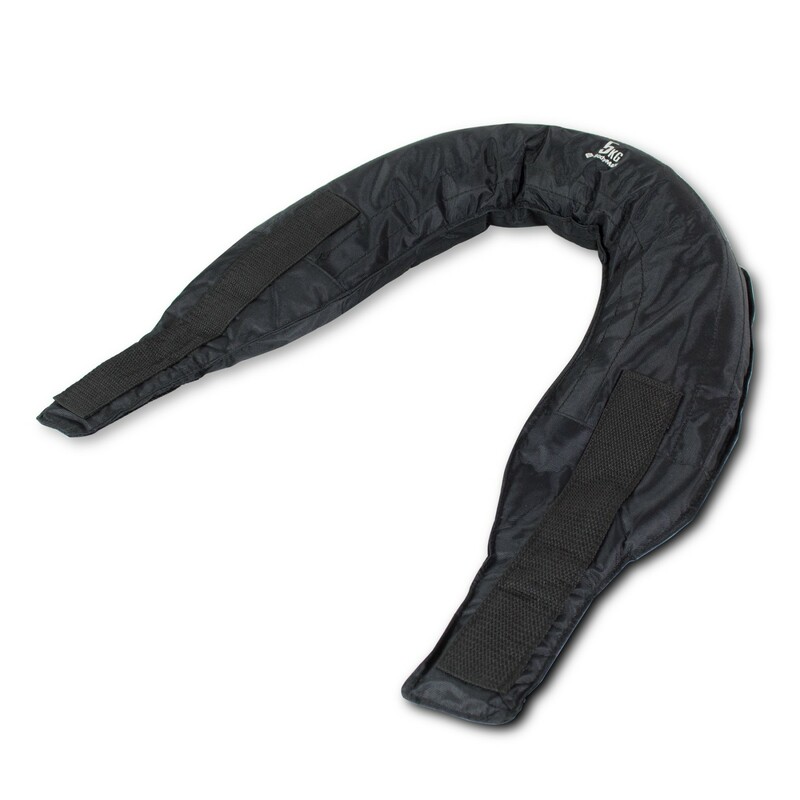 Wearing one constantly means your muscles don't get a chance to relax, recuperate and repair themselves. During a state of constant wear and tear your muscles would actually break down, become chronically painful, and would actually shrink instead of bulking up. Having extended breaks between exercises promotes healing and muscle growth and wearing a shoulder bag constantly would prevent such healing. You should find a sleeping position that allows your back muscles to relax more fully. This will allow them to heal and bulk up faster. The same goes with your diet, your diet needs to match your exercise routine so you are getting enough calories, protein and nutrients - so think lots of veggies and meat. This way your body gets plenty of sleep and has the right amount of protein to be used a building blocks and the right amount of nutrient rich veggies to speed up the process. A lack of quality sleep and a lack of healthy food wrecks havoc with your potential muscle gain. 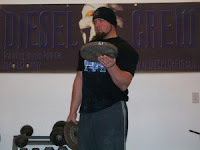 When choosing shoulder bags to use you should start off small and then gradually work your way up to heavier weights. Thus you should always start off with a 5 KG bag, regardless of your current physical condition. Use the 5 KG bag during your exercise routine for 6 to 8 weeks and then switch to a 10 KG bag. Then use that for 8 to 10 weeks before switching to a 15 KG bag, and so forth. 5 KG - Use for 6 to 8 weeks. 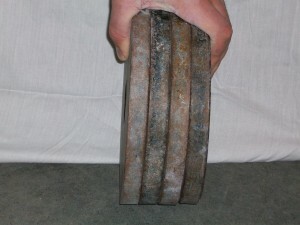 10 KG - Use for 8 to 10 weeks. 15 KG - Use for 10 to 12 weeks. 20 KG - Use for 12 to 14 weeks. 25 KG - Use for 14 to 16 weeks. 30 KG - Good luck even finding bags in this size or bigger. They do exist, but are trickier to find. This way your body adjusts gradually to the weights and you are over-straining yourself. If you switch to a larger bag and feel like it is too much for you, go back to the previous bag size and use it for an additional 4 to 6 weeks before trying the bigger bag again. This way you give your body extra time to build the necessary muscles. Patience and Restraint are Virtues, not just in Weightlifting but also in Life. What is the difference between Amateur Athletes and Professionals? What is the difference between Amateur Athletes and Professional Athletes? Well, for starters lets talk about Food and Nutrition. One of the things that has annoyed me in the past is when someone contacts me asking for training in a specific competitive sport because they want to become a professional athlete and I start asking them questions about their diet and nutrition - which are extremely important questions when it comes professional sports because of how competitive it is. And the response, quite often, is that they don't think their nutrition is an important factor in their sports career. Not their exact words, but basically they downplay how important nutrition is. Which I take to be a clue that their level of nutrition isn't very good and they don't want to admit it. To use a racing car analogy, poor nutrition would be like putting sub-standard fuel into a race car that runs on high performance octane (usually 94 or higher). You don't really expect the car using sub-standard gasoline to win if you know everyone else in the race is using high performance octane, do you? So to me, the question of the differences between amateur athletes and professional athletes is a case of food. Food equals fuel. And if you want your body to be a high performance machine then it needs to be using high performance fuel. Amateur athletes often totally ignore the quality of their nutrition. Professional athletes take their nutrition very seriously. Acquiring one of each of these is basically a necessity for any professional athlete. The names of the individuals may change over time as an athlete's competitive career changes. They might start with their family doctor as their physician and later gain a Team Physician if they end up on a team of athletes that train together. Having these people found in advance is an advantage because what if a situation arises and you, for example, break your leg, and you don't even have a family doctor. Instead you are going to walk-in clinics where you get random doctors who are barely out of medical school and have no experience with sports injuries. Find these people in advance, and then begin training. Amateur athletes won't think that will need a team of support staff, and thus won't bother to get them. That means no coaching, no nutritional advice, they might have a family doctor but not necessarily a doctor familiar with sports injuries, and they definitely won't have a physical therapist who specializes in sports injuries. Coaching obviously is going to be a big factor as well. Coaching doesn't necessarily happen every day however. It might be once per week or even once every two weeks. Coaches are usually also available via phone or email to answer questions the athlete might have. #1. Knowledge Base - to provide the athlete with a plethora of knowledge in their chosen sport with respect to learning how to best achieve results during competition, how to train towards specific goals, what exercises to be doing, any cross-training to be doing, how to create a training schedule, etc. #2. Motivational Guidance - the coach is there to keep the athlete motivated, to keep trying harder in order to succeed. #3. Mental Game - some athletes develop problems mentally and lose focus on what they are supposed to be doing. 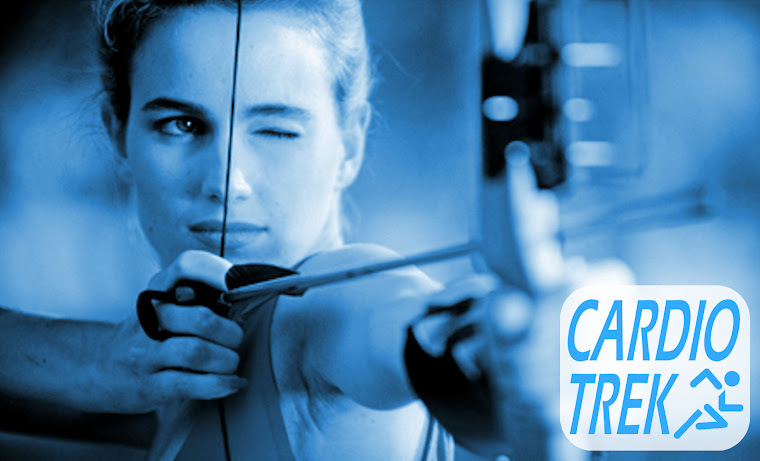 In archery for example professional archers will sometimes develop problems like "Target Panic" which is an anxiety that causes them to become anxious and then shoot too soon when they are not ready yet, or also "Gold Shy" is when an archer starts deliberately missing unconsciously or subconsciously. It is the coaches job to be part psychologist and cure the athlete of any mental problems they might be facing. Note - My solutions to both of the above two problems is to either take a break from normal shooting and practice doing something different for fun (like shooting at moving targets), or to deliberately make the challenge harder so that the archer is forced to concentrate more. Lastly, professional athletes Practice and Train 3 to 5 days per week, depending on their sport, and use their off days to rest and recuperate. This process of Training, Resting, Training, Resting, Training, Resting, Training, etc is continuous and allows for peak muscle growth and helps prevent sports injuries like repetitive strain. People often think that professional athletes Train, Train, Train or Practice, Practice, Practice - however that is a bit of a misunderstanding. It is more of a Train, Rest, Practice, Rest process. An amateur who doesn't know what they are doing might simply practice every day until they exhausted or hurt themselves. That might make logical sense to them at the time, but once they learn the horrors of the first serious sports injury they will either quit the sport or rethink how they are training. This means the professional athlete makes a Training Schedule. Lets say for example you are a competitive compound archer. 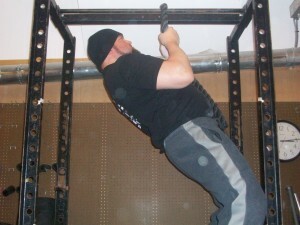 Using the above order of training, what should your 4 week training schedule be? Sunday Training at Gym, Monday Rest, Tuesday Practice at Archery Range, Wednesday Rest, Thursday Training at Gym, Friday Rest, Saturday Practice at Archery Range. Sunday Rest, Monday Training at Gym, Tuesday Rest, Wednesday Practice at Archery Range, Thursday Rest, Friday Training at Gym, Saturday Rest. Sunday Practice at Archery Range, Monday Rest, Tuesday Training at Gym, Wednesday Rest, Thursday Practice at Archery Range, Friday Rest, Saturday Training at Gym. Sunday Rest, Monday Practice at Archery Range, Tuesday Rest, Wednesday Training at Gym, Thursday Rest, Friday Practice at Archery Range, Saturday Rest. Week 5 = Start over at 1. 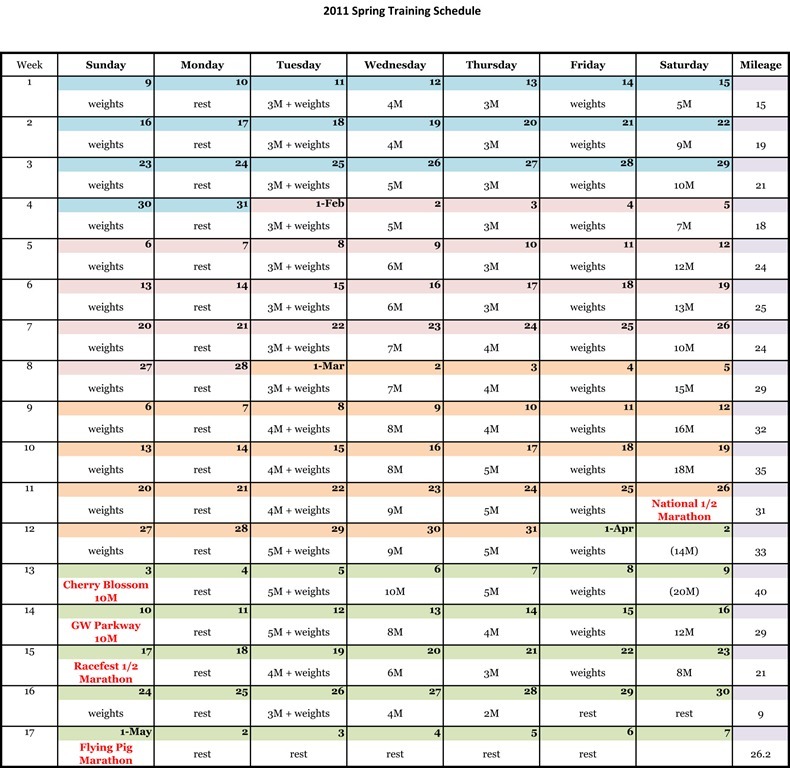 Now the above training schedule is just an example of one way a person could create a training schedule. There are literally thousands of different training schedules for hundreds of different sports online available for free. 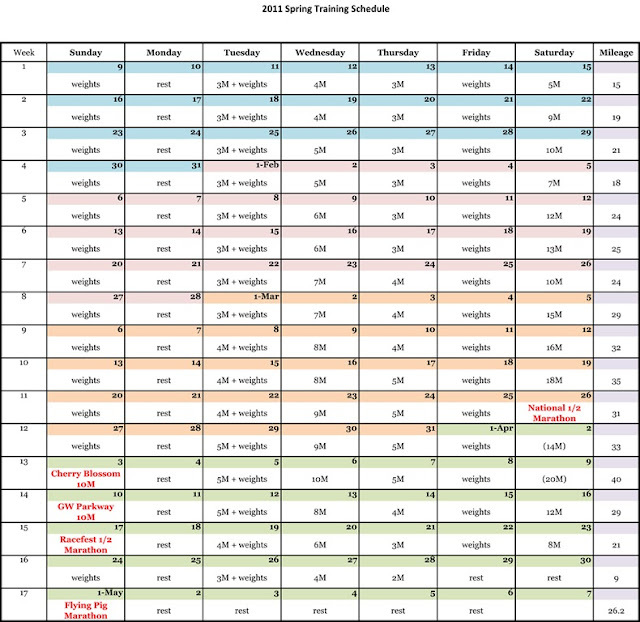 Often a training schedule will also have dates set aside for specific events, such as competitions. 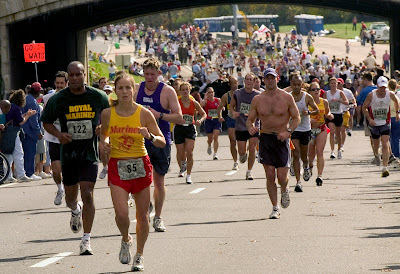 In the example marathon training schedule below there are dates set aside for specific marathons and events like the "National 1/2 Marathon", or the "Cherry Blossom 10 Mile", or the "Flying Pig Marathon". Depending on the sport it is a good idea to be training with the best equipment you can find. This often means equipment that is more expensive, more durable, less likely to have problems, more adaptable, easier to use, etc. Having the most expensive / "best" equipment isn't always a necessity however. In the world of competitive weightlifting for example it doesn't matter whether your weights are homemade or made of solid gold, 50 lbs is still 50 lbs regardless of what it is made of. Thus for people on a budget they should be thinking in terms of the necessities. eg. 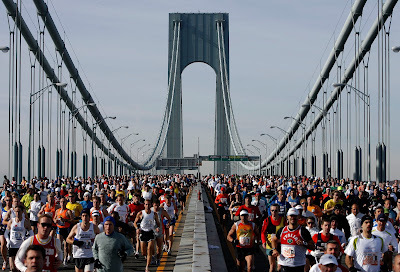 A marathon runner will want a good pair of shoes and a source of water at intervals during practice runs. (Tip, if you plan your jogging route along Starbucks they give out free water. All you have to do is ask for it.) Nobody cares what the marathon runner is wearing, so any old pair of pants or shorts and a t-shirt will do. Wearing skin tight breathable fashion is not a necessity and if anything you will look silly wearing that when you are not in an actual marathon. This is just a brief overview of the differences between professional athletes and amateur athletes. The following are just a few of the fundamental differences between those athletes who take seriously what they are doing and those who simply don't care, and thus are really just amateurs. That perhaps is the most fundamental difference of all. Professional athletes take everything seriously. Amateurs do not. There is one last thing unfortunately... Money. You may have noticed that buying nutritional food is more expensive than buying sugary and fatty foods. Coaching is likewise expensive, as is having support staff even if you only talk to them once per month. Having all that training time might mean you don't have time for a normal 9 to 5 job either, so having money saved up so you can have time off to train is a necessity too. And of course money for equipment. Some sports are very expensive. Others less so. You might need to buy gym memberships, club memberships, etc to get access to equipment that is too expensive to buy normally, or you might decide you absolutely need that equipment so you can use it all the time - in which case it might be very expensive. Also please note that most professional athletes (with the exclusion of team sports like baseball, hockey, football, soccer, tennis, golf, cycling, etc) don't actually make a lot of money in their chosen field. Some do because they are well paid members of a team, but most sports don't have a lot of big sponsors and thus the prize money is a lot smaller. Thus if you manage to win some prize money that money will probably go right back into your budget for food, coaching, equipment, etc. Don't expect to be making a living off the sport. Note - This is probably why gambling is such a problem in many professional sports. An athlete who deliberately loses can sometimes make more money losing than they can by winning. eg. Boxers taking a dive. Even big name events like the Olympics are rife with gambling, although it isn't often talked about. Thus if you are getting into a competitive sport you really should be doing it for the right reasons. To try and attain that goal. Trying to do it for lesser reasons like greed isn't going to help you. Greed is only going to hold you back from what should be your real goal: Attaining Perfection. It is my personal opinion that a true athlete should also at least attempt to be a good sportsman, to be generous and kind to their fellow athletes, and to give back to the sports community by donating their time and effort towards causes that helps the sport. They should also admonish activities that give the sport a bad reputation, like fighting on the ice in hockey, or dentist bowhunters who poach lions for kicks, or cyclists who resort to using steroids in order to win the Tour de France. Such behaviour needs to be admonished and discouraged so that younger generations of athletes know and understand that the sport should not be defined by a few bad eggs who are violent, immoral and cheat. Sometimes one of the best things a famed athlete can do is to simply show up, sign autographs and shake the hands of a younger generation. 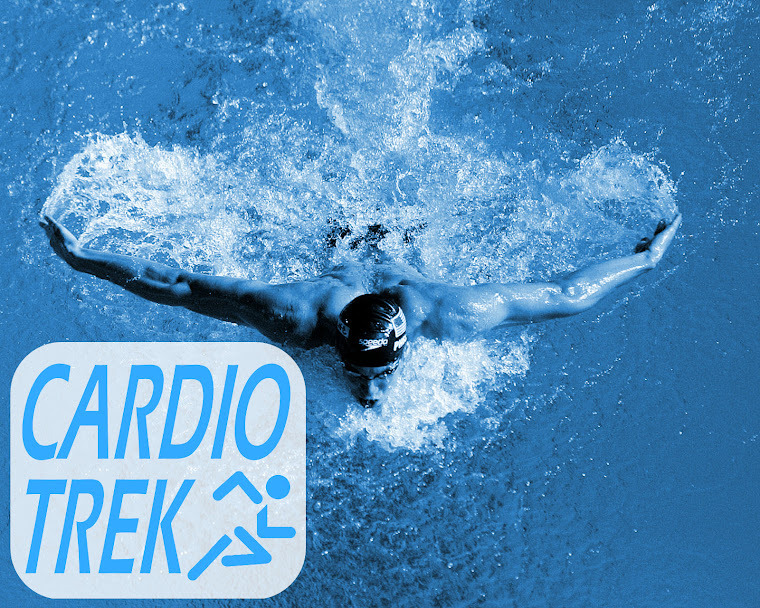 If you want to read more articles like this please subscribe to CardioTrek.ca or bookmark this page and come back for more. 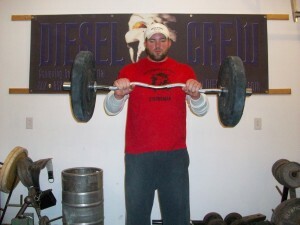 The above post is Part One of a new series of posts about Training for Professional Athletes. TORONTO - Sports injuries sounds normal for many more vigorous sports, including ballet dancing, but what about yoga? It may seem ironic at first, but the exercise regime often recommended by doctors and therapists (aka yoga) as a rehabilitation tool to overcome a range of sports injuries can itself become a cause of sports injuries if people get "too into it". Yoga, considered a relatively gentle means of building flexibility, muscle strength and endurance through physical poses and controlled breathing, can lead to a number of repetitive strain injuries and even osteoarthritis, Ontario doctors say. "Most of the injuries I see are from repetitive strain," says Dr. Raza Awan, a Toronto sports medicine physician who's been practising yoga for about a decade. The most common yoga-related injuries he sees in patients are rotator cuff tendonitis and tears; spinal disc injuries in the low back and neck; cartilage tears in the knee; hamstring strain and tears; and wrist injuries. There are a number of reasons why yoga — in which practitioners generally perform a series of poses, called asanas — can cause injury, he says. One of the causes is "definitely pushing too hard" to attain a specific pose, which can involve stretching the upper body into a forward or backward bend, twisting the torso, or performing an inversion, such as a handstand or headstand, balanced on the hands or forearms. In other words trying to show off by doing handstands and headstands can get you injured. Gotcha! "So, for instance, people who are too flexible or people who are too tight, they're at more risk, I find," says Awan. "If you're too tight and you try to force yourself into a pose and your muscles aren't flexible, then you might strain another area to compensate." "Or let's say that you're very flexible and you get to the end range of a pose and you don't have the muscular support to maintain the pose ... you're holding the pose without muscular endurance, you're basically holding it on your ligaments or your tendons and you strain those structures that way." Ego also can lead to injury, he says, explaining that in yoga classes, some people push their bodies beyond their limits trying to match or outdo the person on the next mat. Being a showoff is basically an excellent way to get yourself injured doing any exercise. 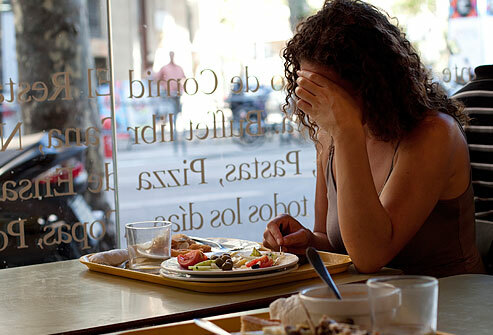 Even competing with oneself — for instance, trying to get the heels flat to the floor during the "downward dog" pose, despite having tight calf muscles from sitting at the computer for hours — can lead to strains or tears, he says. "You strain yourself because you push yourself." Sometimes, overdoing it in yoga may exacerbate an underlying problem called femoroacetabular impingement, or FAI, in which the bones of the hip are abnormally shaped and don't move together smoothly. The hip bones grind against each other during movement, causing joint damage over time and osteoarthritis. 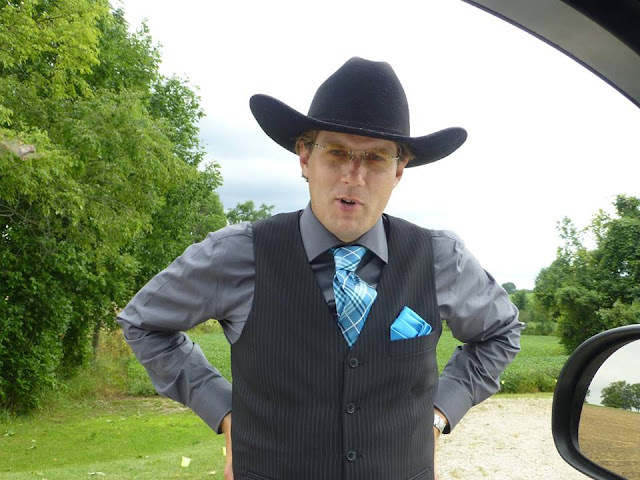 Dr. Chris Woollam, a Toronto sports medicine physician, says he started seeing "an inordinate number of hip problems" about two years ago, including among women aged 30 to 50 who were practising yoga. When range of motion in their hips was tested, not only was movement limited, but "they would jump off the table because of the pain," Woollam says. MRI scans showed the women had joint damage resulting from FAI, which can be severe enough in some cases to require hip-replacement surgery. And since yoga is becoming increasingly popular it is now ever more important to warn people about the dangers of trying to over do it. "So maybe these extreme ranges of motion were causing the joint to get jammed and some to wear," Woollam says of certain yoga poses. "If you start wearing a joint down, then it becomes arthritic. So you're seeing these little patches of arthritis in an otherwise normal hip that seems to be related to these extremes of motion or impingement or both." However yoga isn't entirely to blame. You just have to listen to your body. When it's saying there's a pain, then you have to recognize that and then take a break from whatever you are doing. Pain is a good signifier that you are overdoing it. Vancouver chiropractor Robin Armstrong, who's been practising yoga since 1999, says the most common injury she sees among fellow enthusiasts are hamstring strains. Typically, they are overuse injuries and tend to occur more among experienced practitioners rather than beginners. "I think it's also just repeating core movement patterns, and if you have a teacher who corrects the way you're moving, I think that can help prevent these types of injuries," says Armstrong, who also teaches anatomy and injury prevention to yoga instructors. "I talk about where you have to use caution in certain poses and when appropriate use certain poses for certain people and when to avoid them altogether." Some yoga teachers will encourage students to try a more challenging pose, while others may physically "adjust" a student to correct their posture and alignment. And that can take a person to a place their muscles and joints aren't ready to go. So sometimes it is the yoga instructor who is pushing the student too much. But Armstrong says how far and how fast an individual advances in yoga is a shared responsibility between the student and the instructor. "The teacher doesn't know what you're feeling in your body and you have to be comfortable enough knowing, 'OK, is this right for me? This might be right for the person beside me, but is this right for me at this moment?'" "Don't get so attached to making the pretty picture with your body, you're still doing yoga even if you're not doing the full expression of the pose," she says. "And that goes back to not comparing yourself to others, because everyone comes with a different body and a different experience." Yoga has many upsides, including sharpening mental focus, easing stress, and improving range of motion that can help avoid injuries while performing day-to-day activities or participating in sports. "There's a lot of benefits to doing yoga for certain types of problems, but obviously any physical activity has its risks, too," says Dr. Awan, who is among those who uses yoga as a therapy for some patients and believes most yoga-related injuries are preventable. "It's a great movement-based activity to do, but you have to try to keep safe, just like in other sports activities. Don't push your body beyond." Building a stronger grip is really a specialized form of weightlifting / resistance training, and usually the result of someone some form of hand injury wherein their hand was in a cast for a month or more and they need to rebuild the muscles in their hand. 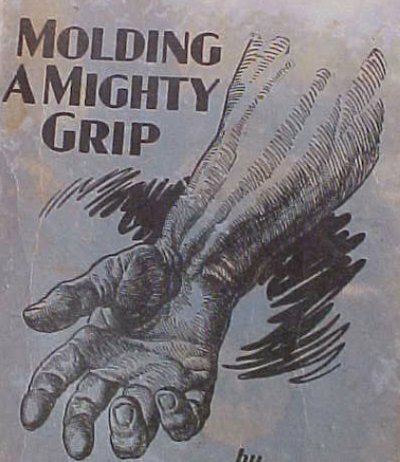 There are a variety of other reasons why people might want a stronger grip in their hands (eg. people who are into rock climbing), but their goals will be roughly the same - to build the muscles in their hand so they can strongly and firmly hold something in place. 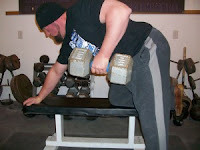 For bodybuilders having a good strong grip is also handy when lifting the heavier weights. Some people also build stronger forearm muscles, which also effects grip, so absolutely that is another reason to be doing grip exercises. You've probably seen them in stores before. Its basically just a device with a spring that you squeeze together. Its not complicated or expensive to purchase them, and they do "most" of the job they are advertised to do. When buying grips you will want to start with a low number - like 30 lbs or 40 lbs. 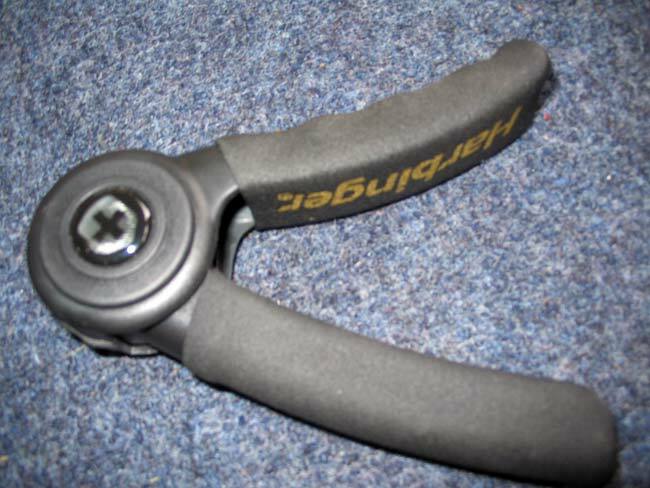 You can even get adjustable grips where you can change the tension in the spring. 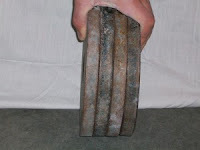 The more heavy duty weightlifting grips start at 100 lbs and go up to 300 lbs, but that is more for serious weightlifters. 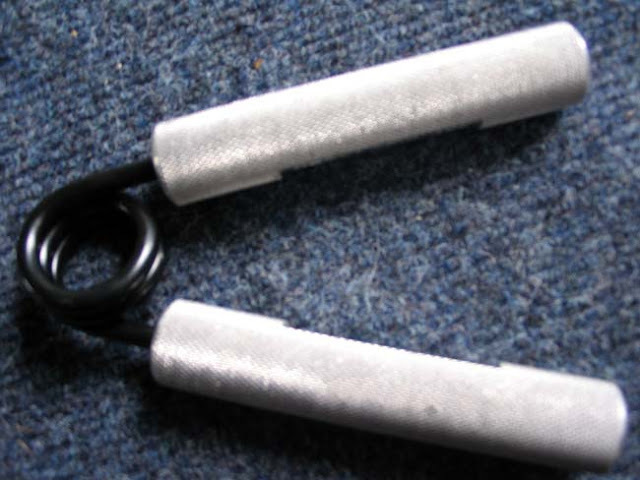 These are arguably the better way to attain a stronger grip. Why? It gives you more range and variety, offering you more of a challenge and will push your muscles further than any mere gadget will do. The types of grip exercises will give you different things to challenge yourself with - and the beauty of these exercises is that are not only better for you physically, but they're easy on your wallet too. Look at the visual examples below of various grip exercises you can try. 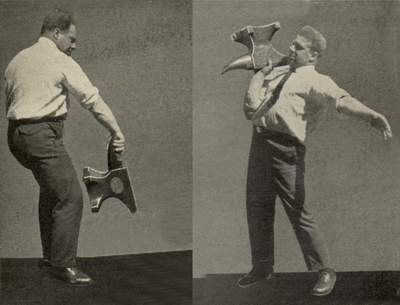 You won't need anvils or weights to do some of these exercises. When lacking in equipment try using books and heavier objects in your home or garage. Rope climbing is an excellent method too as it uses your body weight instead of the weight of the object. 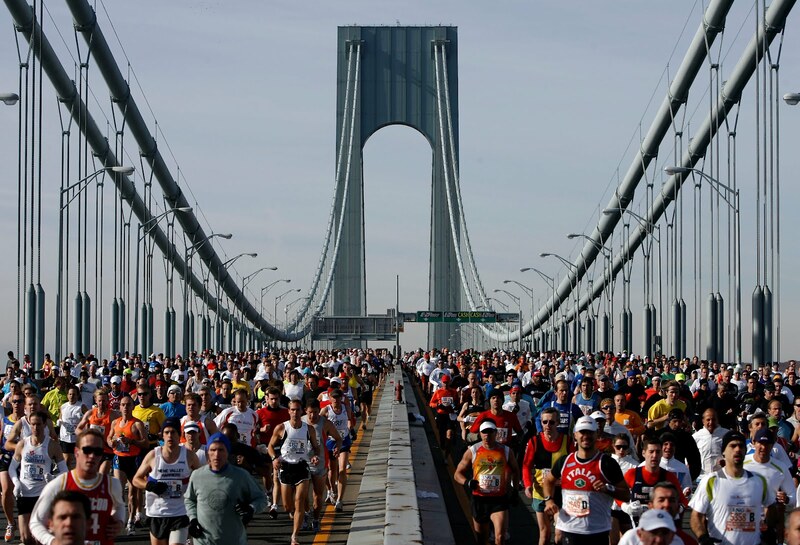 A lawyer in Manhattan New York is suing a celebrity personal trainer in NYC. What is interesting is WHY he is suing the personal trainer. 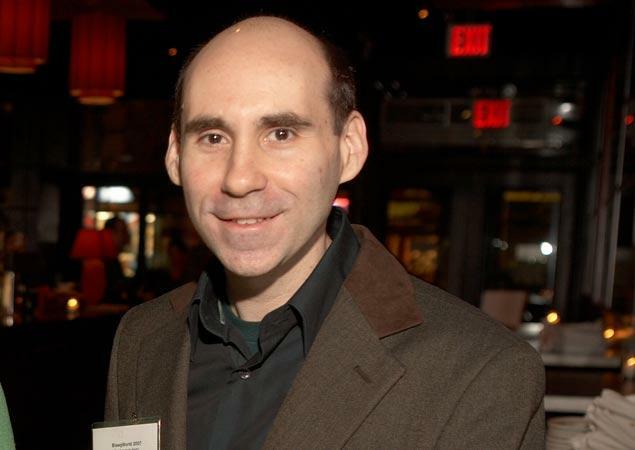 Manhattan attorney Neil Squillante signed up for some personal training sessions 3 years ago, the workouts were too intense for him and he is still in pain 3 years later. Why? Because the workouts were so intense it ripped ligaments in his joints. The scrawny lawyer was apparently so skinny and underweight that his ligaments weren't used to the intensity of the muscle strain he underwent during the workouts that it ripped the ligaments. Now I should note that for weightlifting, ripping muscle tissue is normal (“no pain, no gain”) and even desired because it builds new muscles tissue in-between the ripped tissue. 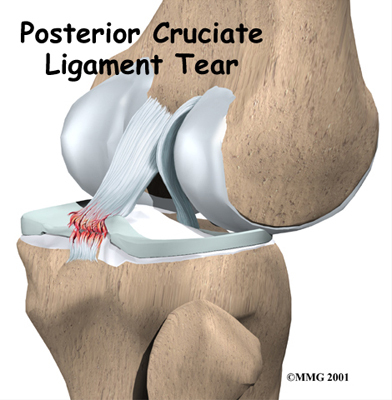 However, ripping ligaments is not something you want to happen, because the damage is much more severe, painful, and crippling. People who get into professional weightlifting and power-lifting are warned about the dangers of ripping ligaments. You have to know your limits and not take risks. Like muscle tissue, ligaments need time to grow and become stronger. What the personal trainer in New York did was take a workout that they normally do with celebrity's like Beyoncé (Beyoncé is one of their former clients) and then give the same workout to a skinny lawyer who has been sitting at a desk almost every day for the last 10 years. So I agree with the lawyer. The personal trainer who was training him should have known better to force such an intense workout on someone who's body wasn't ready for it. What he needed was a more gradual workout program designed to toughen him up first, emphasizing endurance first and strength secondary. Smaller weights, less intensity, longer time period. That is what the personal trainer SHOULD have done. #1. Prior to signing up for sessions Neil Squillante “lived a sedentary life with minimal physical activity, lacked physical strength and fitness . . . and had no experience with vigorous physical exercise or strength training.” As such the trainer should have known that in order to prevent injuries that this person would have to be introduced to intense workouts and weightlifting gradually. #2. In April 2010 Neil Squillante signed up for personal training sessions with a Chelsea personal trainer, who is the Focus co-founder Gabriel Valencia, whose clients include the singer Beyoncé. #3. He should have been started off gradually with mild workouts, small weights, low intensity and a focus on endurance first. Instead the workouts ended up being a series of intense sessions of squats and thrusts with a heavy medicine ball in what Squillante describes as "a torture session". Soreness in the arms, okay. But soreness in the joints so that he can't even lift his arms? That is a warning sign of damage to the ligaments. The personal trainer Gabriel Valencia SHOULD have halted the sessions immediately and counseled that he seek the attention of a doctor who specializes in sports injuries. Instead Squillante went to two more sessions and ripped his ligaments even more. He ended up having severe damage to his knee, hip and pelvis due to multiple torn ligaments. #4. Three years after several Neil Squillante still suffers “pain and weakness when he stands,” has trouble sitting “for reasonable periods,” and is in constant pain even when he is not standing or sitting. He rarely travels, has few work meetings, is unable to recruit staff (he runs a legal information service company), and has a diminished social life. He is basically a cripple. #5. Neil Squillante filed a lawsuit on May 15th 2013 against the personal trainer Gabriel Valencia, his boss and the company. I believe Neil Squillante absolutely deserves to win his lawsuit because that was gross incompetence on the part of the personal trainer who evidently wasn't used to training people who were that thin / unused to exercise and furthermore ignored the warning signs of a serious sports injury. "Hello! Have you ever heard of anyone developing hearing loss from bodybuilding / weight lifting? However with the wide plethora of supplements and steroids available to the bodybuilding industry I would not be surprised if some of the more illegal steroids have side effects that include hearing loss. There are a lot of unknowns when it comes to drugs that have not been properly tested and have been deemed to have dangerous side effects. However the hearing loss could just be caused by something else and falsely attributed to weightlifting. For example the older people get the more likely they are to experience hearing loss. 33% of elderly people between the ages of 65 and 75 experience some form of hearing loss. Above the age of 75 the percentage goes up to 50%. Thus if a person at the age of 68 took up weightlifting later in life, and became really serious about it, and then started experiencing hearing loss at the same time, they might falsely think their hearing loss was somehow connected to the new love of weightlifting. To my knowledge there is no medical connection between weightlifting and hearing loss - but that doesn't mean a person can't develop hearing loss due to another cause. It would therefore be logical to start by eliminating other possible causes before we start pointing fingers. #1. Genetic factors - Is there a history of hearing loss in your family? This is entirely possible when you consider 50% of people encounter hearing loss over the age of 75. Even people who have no history of hearing loss in their parents or grandparents may still have inherited a recessive gene. #2. Excessive Exposure to Loud Noises over a Longer Period - What kind of work or home environment do you have that might expose you to loud noises? eg. If you work in a noisy factory and have been doing so for years, and you don't wear ear protection, you could suffer hearing loss. #3. Buildup of Earwax / Medical Conditions - Some people build up earwax faster than others and it interferes with their hearing over time. #4. High Intensity Sound - A single loud burst of sound can also cause hearing damage if its exceptionally loud. #5. Tumor, Abnormal Bone Growth, Ear Infection - Some of these could be permanent or temporary. Depends on the precise cause. An audiologist could provide more info. #6. Ruptured Eardrum due to Unknown Cause - Sometimes accidents just happen and we have no idea why. #7. People who are into boxing and wrestling can sometimes suffer hearing loss. 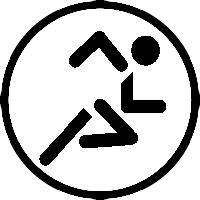 Many boxers and wrestlers also encounter other problems like blindness, mental impairments, speech difficulties, respiratory problems, and paralysis. A hard knock to the head can damage the bones inside the ear and cause some extent of hearing loss. 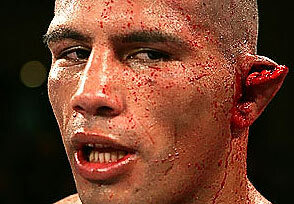 Boxing can cause all sorts of damage to your ears. Symptoms of hearing loss are pretty easy to spot. The muffled quality of sounds, listening to things at a higher volume that others complain, asking people to repeat themselves louder. NOTE: If you experience complete hearing loss in one or more ears, or constant dizziness, then you should contact a doctor immediately. Treatment really depends on the cause and severity. If its just earwax, then you can just remove the earwax - possibly by visiting a doctor and getting a medical wax removal procedure. The use of hearing aids is more for people who have severe damage. And then there is Cochlear Implants - which is a whole other subject. CIs is a surgically implanted electronic device also referred to as bionic ears that provides a sense of sound to a person who is profoundly deaf or severely hard of hearing. Even people who are born deaf can sometimes be given a sense of sound thanks to these implants. They are not cheap however - costing anywhere from $45,000 to $125,000. A cochlear implant will not cure deafness, but is a prosthetic substitute for hearing. If you really think you might be suffering hearing loss (regardless of whether you think it is caused by weightlifting or some other cause) then I recommend speaking to an audiologist. I know of an audiologist in Vaughan who works for Omni Hearing, who offers free hearing tests. So at least it won't cost you anything to have your hearing tested in the event you feel you are suffering hearing loss. But with respect bodybuilding and hearing loss? I would say that is a myth until proven with some kind of scientific study. If you exercise and eat well because of the health benefits (and longevity) its possible that you've also realized that health also includes mental health - and that mental health is often the most important thing you need to worry about. Fitness is more than just sweating your buns off, pumping iron and trying to burn the most calories possible. You also need SLEEP and REST time to heal and build new muscle tissue. Another thing you should do regularly is STRETCHES. There will be times when you are in so much pain for exercising that you won't even want to stretch, and you might be tempted to regularly skip stretching or exercise sessions because you are suffering from muscle pain/fatigue. That is normal. Its a sign that you've been pushing yourself too much. When that happens it means you need to force yourself to do stretching or yoga instead of your regular exercises - and more importantly to rest and get plenty of sleep. 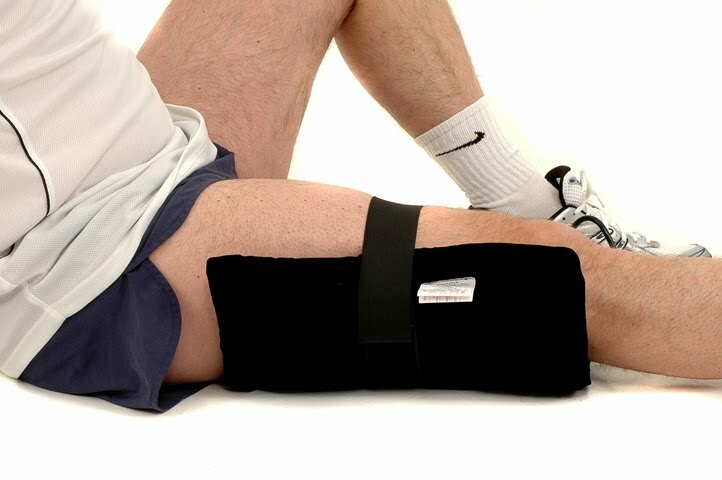 You may even need to purchase muscle relaxers in the event that your muscle pain is so severe you are having difficulty sleeping. Sore muscles become filled with lactic acid, the adrenal glands fatigue and the body produces more cortisol, a hormone that will store more fat, and make it harder to burn off. Too much intense exercising actually becomes quite counterproductive if you are overdoing it and making your muscles too sore. Over training can be a serious problem in exercise enthusiasts and can cause irritability, fatigue and the increased risk of injury. Take care of your body by introducing gentle exercise such as yoga, tai chi, Pilates or general stretching can help give your body a break and give it more time to build new muscle tissue. 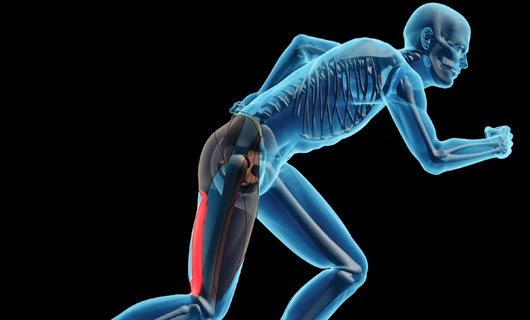 Sports injuries are a sign that you are doing something wrong. When that happens it is important to make sure you are - not overdoing it, observing proper form on your exercises (sloppy form = more injuries), or trying to challenge yourself too much by doing things beyond your current talents. 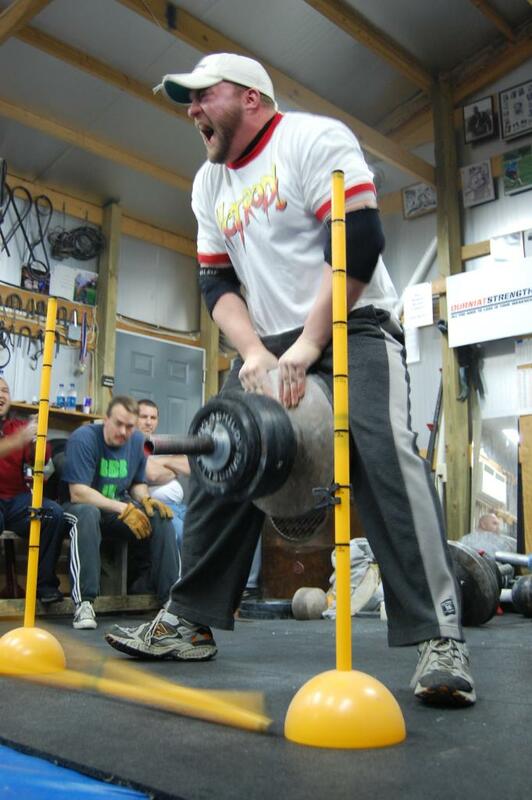 It is true that "No Pain = No Gain" when it comes to weightlifting, but "Too Much Pain = You're Doing It Wrong" is also equally true. Doing regular stretches and yoga, and basic exercises to build up your core strength, help to prevent sports injuries and should be a regular component in your fitness regimen. MIND - Sleep, rest and meditation. Remember to take naps when you get the chance. BODY - Stretching, yoga, low stress exercise days. eg. Going for a nature walk instead of weightlifing. SOUL - Fun exercises / sports that give you peace of mind. eg. Archery, cycling, ice skating, swimming. The simple act of walking or cycling on a nature trail is great exercise but also calming, refreshing and revitalizing - helping your mind and body on multiple levels. You have to think in terms of BALANCE so your body can maintain its equilibrium physically but mentally and emotionally too. There is no point being buff on the outside if you are falling apart on the inside. I have a sports injury that I have been trying to work around. Do you have any advice for how to get a good workout, but without interfering with the healing process?" I noticed you didn't mention what type of sports injury you have, so I have provided advice below for the two most common injuries. If your injury isn't for knee or shoulder please let me know and I shall add more Do's and Don'ts for your kind of injury. 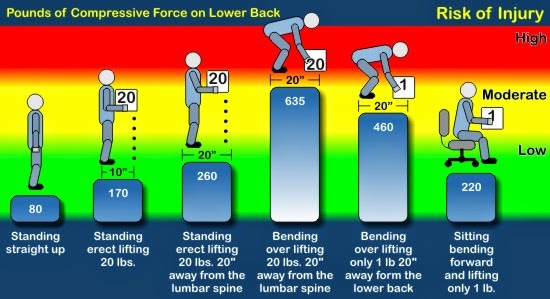 -Focus on upper body in seated and standing exercises. -Cardio only within limitations. Running is bound to be aggravating to a knee injury but perhaps the elliptical is fine. Listen to your body. -Depending on the injury shallow squats (preferably with a stability ball) can help to strengthen the muscles, tendons and ligaments. -Air punches for cardio can even be practiced seated. -Many upper body exercises use the shoulders. Listen to your body. You may be able to do bicep curls but not a triceps push down. 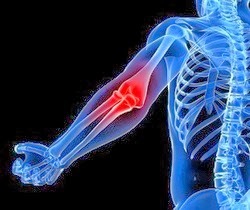 -Do shoulder exercises unless prescribed by a physiotherapist. Ever had a personal trainer refer to a part of the body using a word you didn't know? 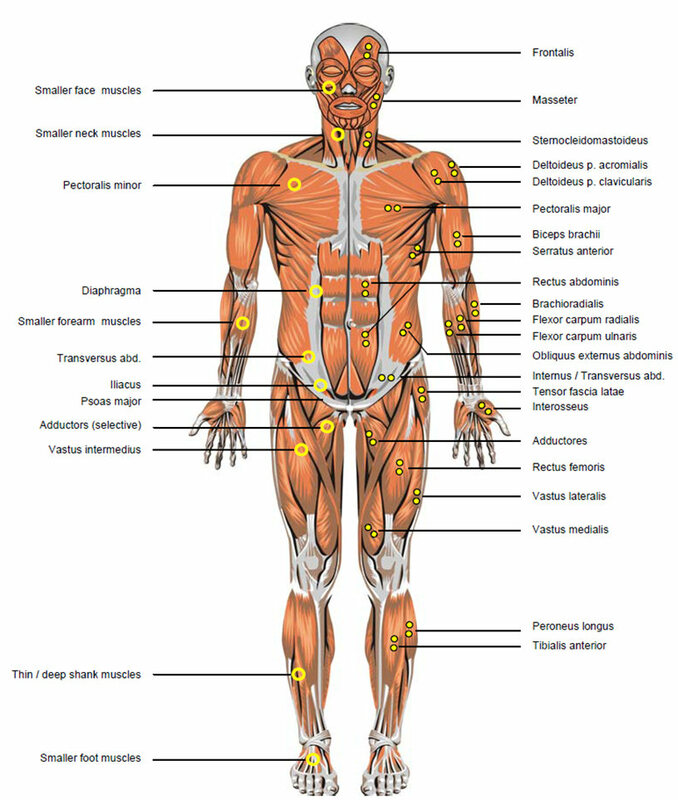 Well here is a handy guide to the various body parts / muscles most commonly referred to and likely a few you didn't know. 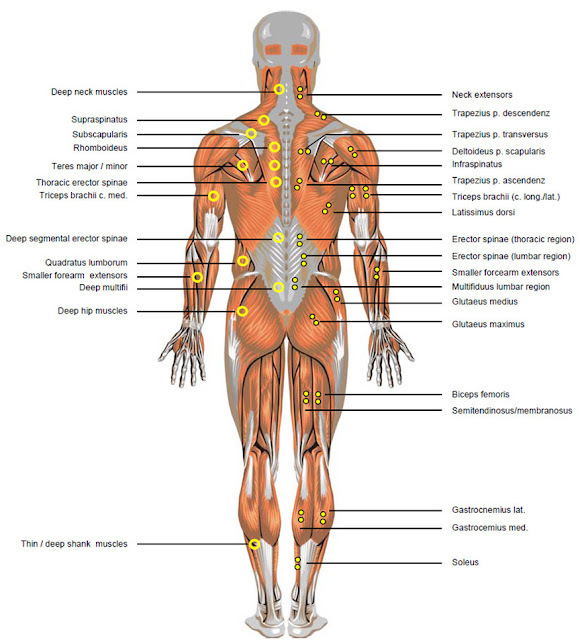 Well here is a two handy diagrams showing all the muscles of the human body so you can take note of the names of muscles you didn't know before. Also important if you ever get a sports injury and want to tell the doc where you hurt yourself. If you are ever in doubt ask your personal trainer to slow down and explain which muscles they mean exactly. It never hurts to ask. If you live in Toronto (or any other major city) you can also find lots of bookstores that will have a variety of anatomy books which can explain what you are looking for. Try to find an anatomy book that is more attuned to exercising. In the future I may even post reviews on books I think are particularly useful. An injury can completely derail even the most motivated of gym-goers. And unfortunately, it’s one of the most common mishaps of training. Suffering from an injury is one of the biggest reasons that people stop working out altogether, but it doesn’t have to be! If you approach working out the right way even though you’re injured, and you maintain a positive mindset then you can preserve your physical fitness while still healing. Before you do anything else, go see a doctor! Though most of us have an uncanny fear of going to see a doctor to get an injury checked out (how many of us have fallen victim to the “if I ignore it, it’s not real!” mindset?) it’s the very first thing you need to do. Getting a professional opinion will help you overcome injury faster and help you come back stronger and better than before. Many times they can point out things that are wrong that you didn’t even notice, thus saving you from repeating the same mistakes and re-injuring yourself over and over again. You don’t have to completely stop working out just because you have injured a body part. Instead focus on the workouts that you can do. 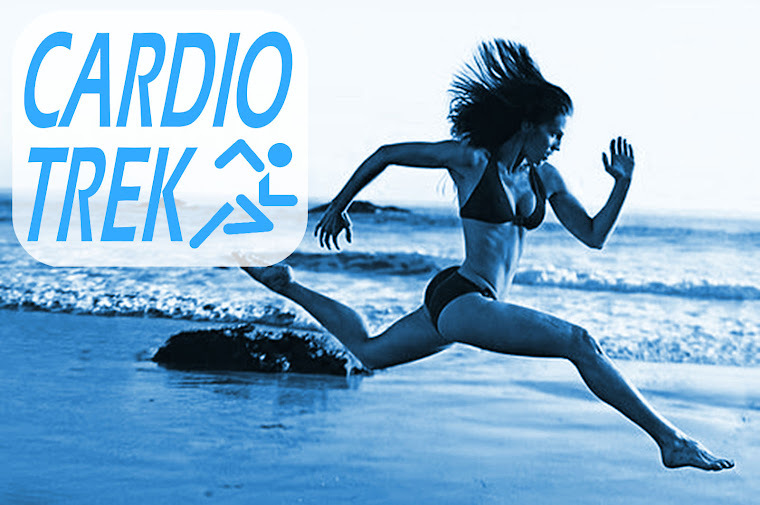 If you can still do low-impact cardio try taking up swimming or biking. If you’re sidelined from doing upper- body weights find lower-impact lower body exercises or core work that you can do without affecting the injured area. If you are able to still work out despite an injury than do so! It’s going to be that much harder to get back into working out if you stop completely. It’s easy to view an injury as an excuse to become lazy and stagnant,however continuing to maintain your physical fitness will make you stronger not just physically but mentally as well. Use this time to clean up your diet or try something new that you have been putting off. Injury is your body’s way of telling you that it needs a break from some activity or that you approached an activity with a little too much fervor. You may have never realized how much you enjoy cooking until now, or that you actually really love yoga classes despite what you thought before. Use this time to make yourself a better-rounded fitness and nutrition enthusiast! It’s so easy to fall into a downward spiral of negativity when you suffer an injury, sometimes even bordering on depression. When you’re sidelined from doing something you love it’s hard to find acceptance in that. And it’s okay to acknowledge these feelings. But don’t let them consume you. Stay as positive as possible and focus on the good in your life – it will make everything else more bearable as you wait for your injury to heal. Yes, you are in pain. But just because you have access to powerful painkillers doesn't mean you should be gobbling them up like Smarties. I know, I just spent several paragraphs explaining how you should stay active. But you also need to allow your body adequate time to rest and heal. Just like you shouldn’t give up exercise completely, you shouldn’t approach it with an over-zealousness either. Use this time to find a healthy balance between both rest and exercise. As frustrating as injuries are, they don’t need to signify the end of your fitness career, only that you need to tweak it a bit. Get professional opinions from doctors and personal trainers so that you can approach your recovery in smart way and come back more fit and strong than before. Don’t give up hope – you will be back on your feet in no time!